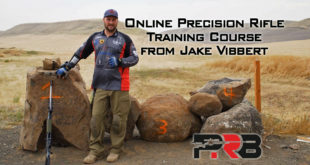 I recently surveyed the top 100 shooters in the Precision Rifle Series (PRS), and this post reviews the calibers and cartridges those guys were running in 2015. 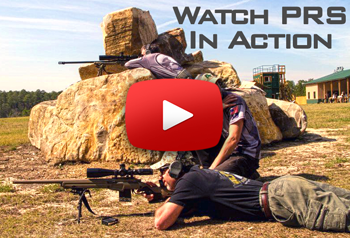 The PRS tracks how top competitors place in major rifle matches across the country. These are the major leagues of sniper-style competitions, with targets typically from 300 to 1200 yards. I’d like to personally thank all the competitors who took the time to complete the survey. I also want to apologize for the survey being sent out so late this year, and for the technical issues a few ran into. I know your time is very valuable, so I hate it wasn’t a smooth experience for everyone. 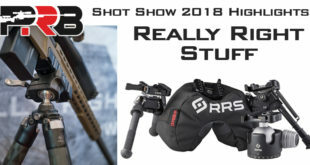 My readers and I whole-heartedly thank you guys for being willing to help out the rest of us, and giving us insight into the gear some of the best shooters in the world are running. 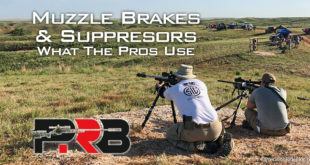 For more info on the Precision Rifle Series and who these guys are, or to view what other gear they’re running scroll to the bottom of this article. 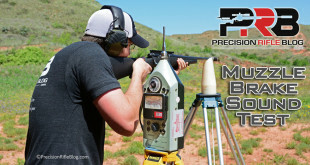 This is the 1st of several posts about the gear the top PRS shooters used this year. Want to be the first to know when the next set of results is posted? Sign-up to receive new posts via email. 6mm cartridges continued to be the most popular again in 2015 among the most elite shooters, but it wasn’t by much. The field is fairly evenly split between the 6mm and 6.5mm cartridges. Before 2015, we only surveyed the top 50 shooters. So to look at historical trends we need to narrow it to the top 50. I thought it might be interesting to look at what the average finish was by caliber. The data shows shooters using a 6mm cartridge finish four places better on average than those using a 6.5 cartridge. Here are the results for all of the top 100 shooters who completed the survey. I broke them into a few different groups based on where they finished, which helps you see variance in the popularity among the groups. You can see the top 10 shooters were weighted more heavily towards 6mm cartridges, then 11 through 50 were split evenly between 6mm and 6.5mm cartridges. But there were several more shooters who placed from 51 to 100 using 6.5mm cartridges. There is a question about whether that is correlation or causation, which essentially is just saying did those shooters place higher because they were using a 6mm … or did it just so happen that the top shooters chose to use a 6mm cartridge. You’d likely need random sampling and a larger sample size to be able to answer that definitively, so I’ll leave it up to you guys to debate. I bet these guys could be successful with either caliber … they’re outstanding shooters. What seems obvious, is the top shooters are exclusively using 6mm and 6.5mm. None of those surveyed in the top 100 were using a 30 caliber or even a 7mm cartridge, and it’s not like there are caliber sponsors influencing choices here. 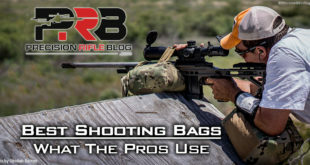 Each shooter has the freedom to pick whatever they want, and the best of the best seem to be leaning slightly toward a 6mm a cartridge for that extra edge. When we break the calibers down into specific cartridges, the field gets a little more diverse. There were clearly 4 favorites among the top 100 shooters. These 4 cartridges represent 80% of the shooters who finished in the top 100! While the 6.5×47 Lapua was the most popular choice among the top 100, when you just looked at the top 50 the 6mm Creedmoor was the most popular choice. 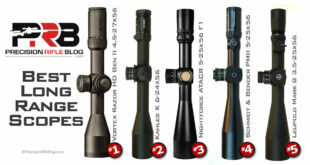 These four are just the 6.5×47 Lapua and 6.5 Creedmoor cartridges and their necked-down 6mm wildcats. So really there are only two cases represented. Here is a look at all four of these very similar cartridges. Thanks to AmmoGuide.com for allowing me to use their cartridge images to make this graphic. One of the biggest differences is the Lapua cases use a small rifle primer, where the Creedmoor cases use a large rifle primer. The Lapua crowd believes small primers produce more consistent ignitions, and therefore lower deviation in muzzle velocity. I’m not a benchrest shooter, but that crowd almost exclusively uses the 6mm PPC cartridge, and it features a small primer pocket … so there could be some truth to that. Of course, on the other side of the table David Tubb has mentioned “a detailed study of large and small rifle primers showed that large rifle primers worked best when the propellant charge exceeds 35 grains.” Unfortunately, David didn’t cite any sources or data, but all of these cases have a typical powder charge weight around 35-45 grains. I’ve also heard others say that the smaller primer pocket allows you to push the Lapua cartridges to higher pressures … but that doesn’t sound safe to me, and likely isn’t recommended by Lapua. So there are many sides to the small vs. large rifle primer debate. I don’t have the answer, but it’s one thing that differentiates these cartridges. The 6.5×47 Lapua and 6×47 Lapua cases have a case capacity of 47 grains of water, where the 6.5 Creedmoor and 6mm Creedmoor cases have 10% more capacity at 52 grains of water. 30° shoulder angle – Older cartridge designs have a more shallow shoulder, typically around 20°. Cartridge designers have found a 30 degree has a lot of benefits. One is that it slows case growth, which means less trimming and longer brass life. Another benefit is the difference of how pressure builds with steeper shoulders, which can allow you to get the same velocities with less powder. Longer case neck (around 0.30″). Modern cartridges are designed with a longer neck to better support the bullet. 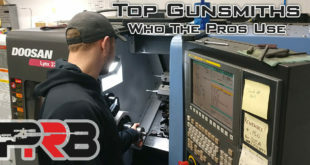 This can promote concentricity and ensure the bullet is more perfectly aligned with the bore. Some also believe a longer neck can promote longer barrel life, because the “turbulence point” of the combustion remains inside the case neck instead of inside the throat of the barrel. One of the intangibles of the 6.5 Creedmoor cartridge is the option for affordable factory match ammo. You can typically find Hornady 140gr A-Max Match Ammo for around $1.20/round. You can’t reload it yourself for much less than that, if any. Check out my article on The Cost of Handloading vs. Match Ammo for a detailed comparison. That is a very attractive option for guys just getting into this sport and they don’t want to have to learn to handload right off the bat. I personally have started using that ammo for most of my training, and have loved spending more time at the range instead of the endless hours in the shop tediously loading ammo. You can also find factory match ammo for the 6.5×47 Lapua, but it usually costs double what 6.5 Creedmoor ammo is. 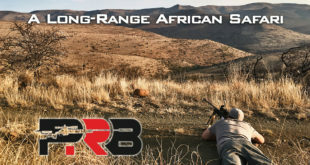 Another good option if you’re not wanting to reload is to look at boutique reloading shops like CooperCreekAmmo.com, who does offer 6mm Creedmoor loaded ammo. But then again, you’ll end up well over the $1.20/round price that Hornady offers 6.5 Creedmoor ammo for. Of course, one of the attractive things about the 6.5×47 Lapua is the 5-star Lapua brass. Many believe brass is the foundation of great match ammo, and Lapua is regarded by most as the best brass money can buy. You can resize that same brass to work for the 6×47 Lapua by adding a couple extra steps. Let’s take a quick look at the muzzle velocities reported by the top shooters for each of the cartridges. CAUTION: I haven’t personally verified any of this data to be within safe or recommended tolerances. It’s likely that some of these guys run loads on the warmer side, so this is only for informational purposes and is to be used at your own risk. First, we’ll look at the 6mm cartridges. The data below reflects what the shooters firing a 105-107gr bullet said their muzzle velocity was. The 6mm Creedmoor produced an average muzzle velocity near 3100 fps with the popular 105gr bullet. The 6×47 Lapua had an average muzzle velocity about 20 fps slower, which you’d expect with 10% less case capacity. Now let’s look at the 6.5mm cartridge muzzle velocities. The data below reflects what the shooters firing a 139-140gr bullet said their muzzle velocity was. The average velocity for the 6.5×47 Lapua was 2765 fps when firing 140gr bullets. The average for the 6.5 Creedmoor was 50 fps faster at 2817 fps. One thing that is interesting here is that the range of muzzle velocities represented was huge for the 6.5×47 Lapua. But there were 12 shooters who were between 2700 to 2800 fps, and only 3 who were running faster than 2800 fps. Now let’s look at historical cartridge trends since the inception of the PRS in 2012. This only includes the top 50 shooters, since that is all we surveyed prior to 2015. It also only includes cartridges with at least one shooter still using it in 2015. The 6mm Creedmoor remains the favorite among the top 50 shooters again in 2015. While the margin isn’t as large as it was in 2014, it is still a healthy lead. Both the 6XC and 260 Remington seem to be quickly falling out of favor among these top shooters. That doesn’t mean those are no longer viable options (so please save your hate mail). The data just shows that for whatever reason those cartridges aren’t as well-represented among this crowd as they used to be. For the most part, shooters seem to be rebarreling in one of the Lapua or Creedmoor-based cartridges. Oooooo it’s that time of year again? Can’t wait to see the rest! You bet! I’m excited to see this stuff myself. Thanks for sharing, Scott. I know a lot of guys love those BR’s. I’m not sure why they aren’t more popular among this crowd. It’s a great cartridge. 6BRs can be obstinate when it comes to feeding through a magazine. Thanks for sharing, Drew. I don’t have any experience with BR’s personally, so that is good to know. Great job working up the data, it’s interesting to see how the equipment side of the sport is evolving. I look forward to your work here but I cringe when someone refers to these precision rifle matches as “sniper style” or sniper challenges. We do take long range shots and the sport usually requires first round hits. However, a sniper is so much more than just a shooter. I have great respect for snipers and wouldn’t compare a PRS match to what a sniper does. I totally understand, but that is the quickest way to communicate this practical/tactical/precision/long-range/field-style of competitions to someone who hasn’t ever heard of it. Of the 10,000+ people who read my website every day, most probably aren’t familiar with the PRS or this style of shooting. They may be familiar with benchrest, F-class, high power, or 3-gun … so I’m just trying to give them an idea of how this is different in just a few words. We all have ADD on the Internet, so if it’s more than a couple words people won’t read it. You’re obviously familiar with PRS competitions, so you actually aren’t the reader I’m trying to get the point across to. It’s the other 9,000 people a day that read this. I do agree that a sniper certainly does more than long-range shooting. In fact, that might be the least frequent thing they do. I also have immense respect for those guys, but I don’t know a better way to get the point across and give people a rough picture in their head of what this looks like. If you can think of one sentence that describes it better in just a few words, I’m all ears. A couple of observations from Australia. Firstly, our conditions and ranges has seen the 308 be pretty dominant this year with the 155 and 175 grain bullets. 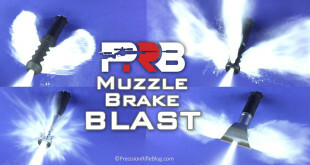 Recoil control through muzzle brakes has seen some matches taken out by 308s in the top five. Secondly, the 6.5 Lapua needs a bushed firing pin to take the 140s up to higher velocities. My 140s go out at 2860fps with no pressure signs or pierced primers. Thanks for the input, Richard. 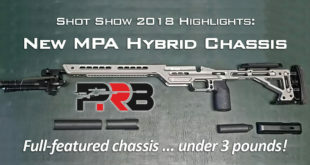 We definitely haven’t seen a resurgence in 308’s here in the states, at least not for this style of competition. I think it’s unlikely that will happen. I wrote a post that compares the hit probability of the 308 to 6.5 Creedmoor and 6mm Creedmoor that shows why: How Much Does Cartridge Matter? 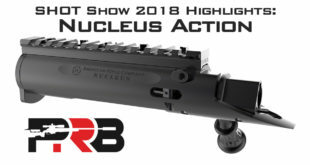 I’m not saying it isn’t a capable cartridge, but when you don’t need the energy downrange … you’re just handicapping yourself in terms of ballistics and recoil. And that’s interesting about the 6.5×47 Lapua. I don’t have one personally, so that is some helpful information. Thanks for sharing! Interesting, i thought there would have been a couple of 6.5 SAUMs being used? Obviously not in the finale? I thought the same thing, but I guess not. There were 10 guys out of the top 100 (only 3 in the top 50) that had technical issues that kept them from completing the survey. I pay for the most expensive and robust surveying platform out there for this stuff (SurveyGizmo.com, the same tool used by ESPN, Disney, Microsoft, GE, IBM, FedEx, etc. ), but there was a bug that kept some guys from being able to complete it on an iPhone 6. So there are a couple guys missing from the data, but the use of the 6.5 SAUM certainly isn’t widespread, if it’s used at all. And some guys change cartridges through the year, or even might use different cartridges for different matches. So that doesn’t mean none of these guys have a rifle in 6.5 SAUM that they used in a match. The way I phrased this specific question was “What caliber do you shoot most often in competitions?” I thought that would be most helpful. There were 2 that I knoe of. I would have but i wanted to shoot our new action and didnt have a SAUM done in one yet. Next year will be a whole different story as Brass will be avalible in November!!!! Awesome! Thanks for the insight, George. I’d love to! Would you mind sending a link to the articles you’re referring to? I just wish you could get those matches that you are required to shoot at unknown distances, and multiple targets on the Outdoor channel. That would really be interesting! I’ve shot in the Steel Safari a couple years, and that sounds like what you’re describing. It is very challenging. You essentially walk up to a stage, the RO tells you how many targets are out there, and your time starts. You have 5 minutes to find the targets, range them, and engage them. Just finding the targets is really challenging, and a skill in itself. Getting a good range is another skill, and then you have the field shooting part of it. You might check that out. John Griswold has won the Steel Safari and he’s started shooting PRS matches more recently. John is one of the best shooters I’ve ever seen. He finished 14th overall this season. So that just shows the level of competition among these guys. You might check out the Steel Safari if you’re interested in those types of competitions. They do use these same types of cartridges though. I bet the distribution is very similar, because they are also using steel targets at approximately the same distances as the PRS matches. They may focus a little more on hunting-type skills, and have less positional shooting or crazy time limits … but the rifle setups and cartridges are very similar. You could add one more question with a few extra words to get some more data. In a lot of cases people are shooting the 6mm stuff at matches where there isn’t a ton of long shots and maybe semi low wind. If the match is known to have a bunch of long shots then a lot of guys are bringing a 6.5mm to those matches to help in a few areas, one is so they don’t miss any points for impacts at longer ranges where the 6mms just don’t hit the target hard enough and their is a new guy on the spotter, secondly just to beat the wind. That’s where I see the 6.5mm SAUMs/ 6.5mm addictions/7 bats etc.. come out. So basically most have a primary and backup or secondary choice depending on the match. I totally get you Zac, but these guys are already taking a lot of time to answer the survey. I’m very hesitant to add more questions. In fact, I’m not even sure they’ll continue to do this in the future. I’m just thankful to have the data I do from these guys. Your theory may be true, but then again I haven’t seen that to be the case … at least not to a large degree. I think these guys are usually quite capable with these cartridges, although the 6.5 SAUM and others do offer an incremental improvement in ballistics. But I’ve learned getting rounds on target has a lot more to do with the shooter than the ballistics. That doesn’t mean ballistics don’t come into play … we just might blow cartridge choice and muzzle velocity out of perspective. I’ve noticed in your stats that there were no reported 7mms in the PRS, and only one 30 cal. Is it more due to the increase in recoil, or due to the lack of components? That’s a great question. To get equivalent ballistics out of a 7mm you need to use heavier bullets, like the 168gr or 180gr bullets instead of 105gr in the 6mm or 140gr in the 6.5mm. That all equates to more recoil. Ultimately, for these styles of competitions the amount of energy the bullet carries down-range just doesn’t matter. As long as the bullet impact is big enough for the RO to call the hit, that is good enough. The more you go above that point, the more you are needlessly exposing yourself to more recoil, more muzzle rise, shorter barrel life, more gun powder cost, etc. I personally use a 7mm Rem Mag for hunting, and used it in competitions for a short time. I love the 7mm. The ballistics are amazing, but the recoil is punishing. You also can’t watch your bullet splash under 600 yards, because the recoil lifts the rifle off the ground. Beyond 600 yards you can typically get back on target. But with my 6mm competition rifle, my sight picture literally never changes when I fire a round … so I can watch the bullet the whole way and spot my shots as close as I need. And the 30 caliber has all the same downsides, but even to a larger extent. If you don’t need the energy down-range that a 30 caliber can deliver (i.e. you aren’t shooting animals or militants), then you are just needlessly handicapping yourself in terms of ballistics and recoil. Here is a post I wrote that makes an objective comparison between the hit probability of the 308 and the 6.5 Creedmoor and the 6mm Creedmoor: How Much Does Cartridge Matter?. I bet you’d find it interesting. I’m certainly not saying these guys couldn’t be successful with a 7mm or perhaps even a 30 caliber. I do bet any of these guys would struggle to break into the top 20 with a 30 caliber. You just have a much lower margin of error with that cartridge because of the ballistics and recoil. I don’t think it has anything to do with components, because there are great components available for both the 7mm and 30 caliber. It mostly has to do with ballistics and recoil. Thanks Cal! Can’t wait for the other data. I think a 6 Creedmoor is up for next years build! Just built one myself! Got it in about a month ago. I’ll do a rifle spotlight post on it at some point. I love being able to go out and just shoot, and not spend all that time loading in my shop. It’s been a welcome change of pace. I may end up handloading or buying loaded ammo that is a little more precise, but for now … I’m just plinking away with that Hornady ammo and it seems to be working. I don’t think I miss many shots because of it, if any. There is variance in muzzle velocity (sometimes significant) between lots, but if you lay in a big supply you can mitigate that. 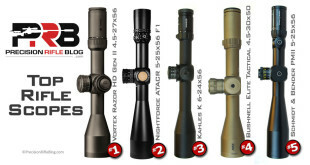 Do you typically survey the competitors on what reticle they use as well? I do, and I believe that will be included in the next post. In the mean time, you can check out that data from last year. Just a short comment re scopes. Must be ten years or more, Col. Jeff Cooper made a comment in his monthly column in Guns & Ammo I thought was interesting. He stated that on each rifle course he taught at Gunsite, he was amazed at the number of scopes that failed. He said it did not seem to matter which model or manufacturer the student chose. He stated that less than 500 rounds were usually fired and the common calibre was .308. Around the same time I discussed the matter with a non-US military sniper. He stated that the model they were using was fairly good but they spent too much time being repaired. I was curious if you had ever done a survey on this issue. Thanks. Hey, Reg. I’m sure a lot of scopes can’t take 500 rounds, especially those focused on the budget buyer. Most of these guys (and myself) aren’t in the entry-level scope category. I’d say the average scope used by this group is $2500 and up. I’ve yet to see any scope in that price range that wasn’t able to reliably operate well beyond 500 rounds. I’m not saying Cooper was wrong, I just think we might not have been talking about the same thing. 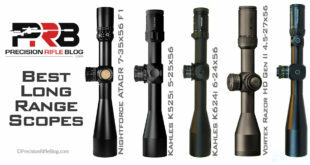 There is a big difference in quality from a $500-1000 scope and the super-high-end ones these guys are running. I’ve never surveyed guys on that, but it would be interesting to see if there was widespread issues. I’m sure there are concessional issues with just about any type of scope, but really the warranty department of the manufacturer might be the only ones that know how widespread a problem is. You’d need a really large sample size to draw any meaningful conclusions otherwise, and 100 people probably isn’t enough. If you had 5000 that might be. I might be able to poll my readers at some point, and it might approach that size. It’s an interesting idea at least. I appreciate the suggestion. Great article Cal. I’m a USPSA and 3 Gun shooter (and retired California LEO transplanted to Southern Utah) who is just getting back into long range. 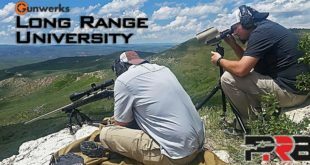 I joined the Long Range Shooters of Utah group and they’ve been a great resource. I’ll now add your site to that growing list. Wonderful content and you are a fine writer. I’m still shooting my Savage 12 with McMillan stock and Leupold glass in .308 while I figure out what I want/can afford but I have to say I’m enjoying shooting more than I have in years. The growth of the sport along with all the terrific people I’ve met is really exciting. Keep up the great work! Hey, Eric. That is the same experience I’ve had. I’ve met a lot of great people that were willing to help me get started. There were a few jackasses in that crowd, but not many. I believe whether a sport grows or dies is largely related to how they treat new people, so I’m really glad to hear you’ve had a good experience. And that sounds like a great setup to get started. Don’t get too caught up in the gear. I think good gear can make a good shooter better, but it certainly doesn’t make a good shooter. The only proven way to make a good shooter is time at the range behind the rifle. So continue to build that foundation, then upgrade the gear as you progress. thanks for doing this Cal. But who in the hell turned in 2914 fps out of a 6.5×47 with the 140’s? Something’s got to be off? Well, I thought that too, but there were 3 turned in above 2800 fps (2815, 2880, 2912). If it’d just been one way out away from the rest of the group, I’d have dismissed it … but there were a couple up there. I have heard guys pushing that Lapua case to high pressures, and that might be a couple guys doing that. I certainly wouldn’t recommend it. I don’t feel comfortable posting the names of the guys who said that, but since there were a few in that ballpark … it might be true. But it sounds high to me too. I know the guy busting 2,900 with the 6.5×47 as we shoot together and I spun up his barrel. It’s an honest value, the tube is a 28″ Bartlein gain twist and he moly-coates the bullets. I believe he uses the new IMR 4451 powder, and no his firing pin bushing is not bushed. Another great write up Cal, looking forward to the rest of the series. I like the way you controlled for sample size by using the top 50, I’d would be interesting to comapire every aspect for the past three years. I think you’ll see a trend cartridges but I’m betting the equipment useage varies! I’ll continue to take the your survey every year as I know what you’ll do with it and I ow a lot of other guys feel the same way. Hey, Curtis. I really appreciate you chiming in and confirming that. I figured he really was running that fast, but that context helps. And thanks so much for your willingness to take the survey. It helps more people than you know. I’ve heard the same claim, that the small primer allows the 6,5×47 to run at higher pressures. However, Saami lists the 6,5 cm at 61000 psi and the 6,5x47L at 63000 psi. Not a huge difference. Maybe it is meant in comparance to itself. Meaning that if the 6,5×47 had a large primer pocket, the pressure would be lower? Running higher than saami spec sounds dangerous anyway, I wouldn’t do it. Yeah, they are ignoring SAAMI specs, and I agree that sounds dangerous. I think the idea is that more brass in the head of the case will stunt how quickly the primer pocket expands. I’ve also heard guys preferring a Springfield ejector over the plunger style ejector in the bolt face, because that allows them to run at higher pressures without the brass flowing into the plunger hole. Yeah … That sounds like a bad idea too. Here is the thing: If you’re trying to do that kind of stuff to push a cartridge beyond recommended pressures … you chose the wrong cartridge. So many people try to chase that extra 50 fps. There is pretty much always a cartridge that can push whatever bullet you are running at 50 fps faster than the one you’re using (or even 100 or 200 fps), and still be at safe pressures. So when I hear about guys pushing into the red, I usually just think they’re an idiot that doesn’t understand what I just said. They’re making it harder on their brass, action, and barrel … and putting themselves and those around them in real danger … all because they picked the wrong cartridge. Cal, you’ve got the most interesting gun sight on the net. Over the years I’ve read so many that it’s hard to find something unique and new. What the Pro’s Use is a simple idea and yet so informative. Thanks, Nathan! I actually stumbled across the data for the first time when someone had just taken a screenshot of a big spreadsheet and posted it in a forum. I remember looking at it and seeing how helpful it would be if someone put some time into it, and contacted the PRS guys and started publishing it. Who doesn’t like knowing what other guys are running?! It’s fun to walk down the line at a match and look at the other rigs guys are running. This is kind of like that, but even more powerful because it’s an aggregate view and it’s based on some of the best shooters in the world. It is a really helpful set of data. Glad to know you value it as much as I do! what are the benefits of 6 mm Creedmoor vs 6XC? Anything other then faster speed due to larger case? That’s all I know of. The 6XC has better brass selection, and a slightly longer neck. It’s mostly the 50-100 fps difference in velocity. In my mind, those two things made it a hard choice. Quality brass is important, but 100 fps is a big deal. The custom Tubb dies for the 6XC are what pushed me over the top, and they’re the best I’ve ever used too. Both are excellent choices. I’d bet the guy in 1st could have won with either of them. .293″. I have to be carefull. I single load them in my rifle (which is a repeater). Kelbly does all my accurate rifles. Greg does an outstanding job. A nice supportive company! How much neck clearance is the minimum in a repeater? Hey, Heinrich. I appreciate the thoughtful feedback. I asked Pacific Tool and Gauge to send me reamer dimensions on the 6mm Creedmoor a couple weeks ago, and although they said they would … they never sent it. So I’m not sure what the dimensions are. 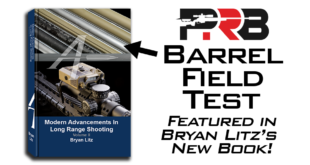 In the Precision Shooting Reloading Guide (an outstanding reference), Fred Sinclair & Bill Gravett wrote a chapter called An Overview of Reloading for Extreme Accuracy. They said “For most reloaders we recommend that a finished loaded round measures approximately .002″ smaller than the known neck diameter of your rifle’s chamber.” (page 43) That’s what I’ve been doing. Good read. A lot of good info here. Glad you put this together for those of us who aren’t as knowledgeable on this stuff. You bet! Glad you found it helpful, Garry. Smaller primer pockets are more consistent and handle higher pressures. I have yet to meet anyone that has both a 6.5×47 and a 6.5C that will say their Creedmoor out shoots the Lapua. the Lapua is just way more accurate. 6.5C has a little more case capacity. That is the only advantage it has. This though puts it into a narrower load node. Factory ammo is no advantage. Norma makes brass now but there brass is more then Lapuas and it does not last as long. In the future I would expect to see the Lapua continue to dominate the accuracy game. Interesting thoughts. I agree with most of your points, although a few could be overly dogmatic. They may be true for your situation, but not for all situations. I agree Lapua brass is better. Some might debate smaller primer pockets being more consistent (including David Tubb), but most benchrest guys use small primer pockets … so that is clearly plausible. They “handle higher pressures” is a little bit of a misnomer, and can be misleading for new people. I get what you’re saying. It is less likely after multiple loads that the primers will start to get loose. There is also more brass in the case head, and that provides more structure. So the brass will show less signs of pressure in the case head from high pressures, and may last a couple more reloads. Now if we’re talking Lapua vs Hornady brass, the Lapua may last more than a couple reloads compared to the Hornady. But I’m just saying if you were comparing 6.5×47 to 6.5 Creedmoor, all other factors being equal. However, the SAMMI max pressures are virtually identical for both cartridges. So even though the brass may not shown signs of pressure, that doesn’t mean it is designed to run safely at higher pressures. You sound like a very educated guy, so I’m totally with you … but there are a lot of new shooters who read this blog, so I’m just trying to help those guys understand both sides to that. The 6.5 Creedmoor does have 10% more case capacity (47gr of H20 in 6.5×47 Lapua vs. 52gr of H20 in 6.5 Creedmoor), but that isn’t a huge deal. I’m not sure what you mean by “this though puts it into a narrower load node.” You are probably just beyond me on that, so can you help me understand what you’re referring to? It sounds interesting. And the factory ammo thing is important to some guys and inconsequential to others. 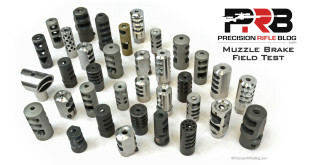 Some of us have been handloading forever, so it isn’t a big deal. I have 2 precision rifles that I’ve burned out barrels on and neither of them have ever fired a single round of factory ammunition. At the same time, there are a lot of new guys trying to get into this. And trying to pick up long-range shooting and learn how to become a world-class handloader can be more than a little overwhelming. I usually suggest they take on one of those at a time. Personally, I handloaded for my hunting rifles for a while as I tried to use them to extend my range. Then I picked up precision rifles and real long-range work after I had good experience with handloading. Other guys buy a rifle and take a class on long-range shooting, but haven’t ever reloaded. So those guys might be better off buying factory match ammo for a little while, and the 6.5 Creedmoor gives you the option to do that. So while it may not be important to you (and a lot of other guys) it is absolutely important to other people. It might be the minority in this game, but at least a few value that about the 6.5 Creedmoor … me included. I’ve had a hard time finding Norma 6.5 Creedmoor brass, so like most … I’m using Hornady. But I 100% agree, neither of those are as good as Lapua. I feel like Norma is a lot closer (and I use them on my 6XC and my 7mm Rem Mag precision rifles), but Lapua is the king of brass quality in my experience. Everyone else is 2nd at best. I actually expect to see the 6.5 SAUM get more popular, at least among this crowd. 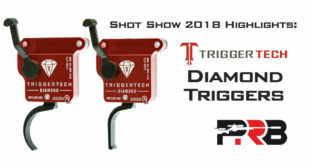 Will it become more popular than the 6.5×47 Lapua or the other mid-sized cartridges? Probably not. But it’ll be interesting to watch. Like I said, you’re obviously a knowledgeable guy … so I appreciate the thoughtful feedback. I’d love to learn more about the “load node” you mentioned. I hear David Tubb talk about that some, and I think I understand what he means by that … but it sounds like you have a way to know how big that window is based on case capacity or something. I’m always looking to learn something new! Seems like you could learn something new in this field every day of your life and still not know it all! Sorry I forgot to check back for this. Thank you for your very extensive response. Its is a very good one. Now the Creedmoor is a little longer and thus is not in quite the same sweet spot in its 6.5mm variant. One thing I have noticed doing load development is that lode nodes tend to be larger every other load node. This is just my experience though. I have noticed it in a lot of other cartridges that friends shoot too. For example the 6-6.5-47 Lapua is very finicky but improve it a little by putting a 40 degree shoulder on it and it jumps up to the next load node. A much wider load node I might add. For this reason I see the Creedmoor as a 6mm version, being much more potentially accurate. I have not tested the 6mm creed as of yet though. Probably will not because I can’t get myself to shoot anything other then Lapua brass. Thanks for the follow-up, and passing on some helpful experience. There is certainly no arguing about the accuracy of the 6 PPC. I never dreamed a cartridge could dominate an entire discipline like it has. Your points on cartridge design are interesting. I’m fascinated by the black art of cartridge design. There seems to be so much about internal ballistics that we still don’t understand well enough to explain all the nuisances … or at least that knowledge isn’t widespread in the civilian world. It sounds like you have a much more solid foundation than most, so I appreciate you sharing your thoughts. By the way have you ever tried necking down and shortening Lapuas 308 Palma brass? It does have that small primer pocket. I haven’t done much wildcatting personally, so I haven’t tried to neck down that 308 Palma. Honestly, one of the methods I’ve used to pick a cartridge in the past is to start with a list of the cartridges that Lapua and Norma make brass for, and then narrow it down from there. So I understand your earlier comment about Lapua brass! It is the best hands down. In my experience, Norma brass is also a lot better than all the other options out there. Those two seem head and shoulders above the rest, but Lapua is still my preference if I can pick. One of my good friends has at least 7 different rifles that are all necked down wildcats of a more popular cartridge (from 6×47 to 300 Norma Mag), and I just see how much work he has to put into that. He shoots a 6.5×280 AI and the fire-forming alone eats a lot of time and barrel life. I do agree that 5% is a big difference. I hadn’t looked it at that way. But it also has less powder capacity, so it seems like that could be a wash depending on the type of powder. Virtually all of these guys are using H4350, so I’m not sure exactly how it’d shake out for it. But just looking at the velocities they’re able to acheive, the 6mm Creedmoor is producing about 20 fps faster muzzle velocities than the 6×47 on average. 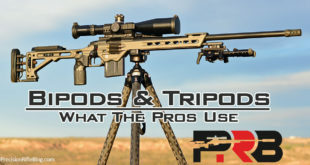 The average of the 6.5 Creedmoor is 50 fps faster than the 6.5×47 Lapua. Now that is just averages, and doesn’t mean they’re running at similar (or even safe) chamber pressures. But you make an interesting point. I tried forming some 6.5cm with some winchester brass. Its been better then Hornady so I gave it a try. Forming was hard on the press and then they have to be shortened and neck turned. Another gentleman in another publication formed 6.5cm using Lapua 22-250 brass. It took 4 steps though. Thats a lot of work. Once I found out about the 6.5×47 I dropped all that CM stuff and totally switched. I think you should at least try one. I bet you will like it. I am in no way bashing the Creedmoor. Its a great case and is something the industry needs, but there is something a little better out there so I went with the Lapua. I would really like to see more cartridges like the 6.5×47 and the Creedmoor, that shorten the case so that longer bullets can magazine feed loaded to a longer length. I noticed Nosler came out with another cartridge (30Nosler), and of course it has the same problem many of the big name cases have. They make a big case and then leave no room for the bullet. The beauty of the CM and Lapua is that they do and it gives you lots of room to experiment, thus making them quite versatile. You might be right about the 6.5×47. I know it’s an amazing cartridge. I’ve got a lot of friends that shoot it, and always rave about it. The brass is outstanding, and I know that’s the foundation of world-class ammo. I’m in a strange place where I test so much stuff that I burn through more ammo than I can handload. I’m doing a barrel test right now and it took 1000 rounds to just break the barrels in BEFORE I even started any of the tests. In related news, I just bought 1000 rounds of 6.5 Creedmoor loaded ammo that uses Norma brass. $1.20/round loaded … and you get to keep the Norma brass. I’ve paid over $1/piece for new Norma brass before, so I consider that a pretty sweet deal. The loaded ammo is pretty good, but I’m just as excited about the Norma 6.5 Creedmoor brass I’m getting out of it. It’s not Lapua, but it’s pretty good. I think it’s better than the Hornady. I couldn’t agree more with the idea about cases that allow you seat out longer bullets. That’s one of the reasons I went with the 6XC. It offers a little more magazine clearance so you can use long bullets and continue to seat them out as the throat erodes. So many are just barely magazine length to start off with, or don’t even fit in the mag with high-BC bullets. Why do we see such a decrease in the use of the 6XC cartridge and the rise of the 6mm Creedmoor ? What does the 6mm Creedmoor offer that the 6XC doesn’t ? Seth, I’m not entirely sure. I personally prefer the 6XC (primarily because I believe the Norma brass is better than Hornady and brass is the foundation to a consistent load). But it looks like you can get a little more velocity with the 6mm Creedmoor. Case capacity on the 6mm Creedmoor is 50gr of water, where the 6XC is 48gr of water. So that little boost in case capacity can yield slightly higher muzzle velocities. But if you’ll check out my “How Much Does Muzzle Velocity Matter?” post, that doesn’t have a huge impact on your hit probability at long-range. GAP is also a big proponent of the 6mm Creedmoor, so that may influence a few shooters since they are always among the top shooters. That is a long way to say … I’m not sure! There are a lot of things that play into this, and I’m sure I’ve missed more than a few things. I personally shoot a 6.5 Creedmoor and a 6XC … so it seems like I’d have noticed other obvious things if they really did matter. I think a lot of it is just personal preference. There is a lot to be said for having confidence in what you shoot. Great question! I think one of the Lapua 6,5 mm guys have a broken chrono. Ha! You might be right. There was just one guy who said he got a velocity over 2900, but there was another one that said he was running 2880. The next closest was 2815, and two guys said 2800. I’d still consider all of those hot or at least “warm” loads. So you should certainly proceed with caution. One reason some guys like the Lapua case with the smaller primer is because they feel like that lets them run at higher pressures, because the case heads have more material in them. What it really does is just let them run at higher pressures without seeing one of the symptoms of higher pressures. It certainly doesn’t mean it is safe to do that. Old cartridges could not take such pressures, but modern ones can. Take for example the 6.5×55 Sweed. 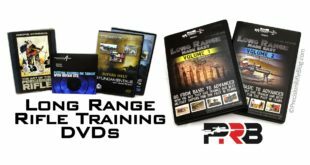 Several of my reloading books actually have different loads listed for older vs newer guns. The newer guns run at much higher pressures. With the Lapua being able to make PSI of 5% higher then a CM then its not surprising that they can make such velocities. Lot of research went into the 6mmPPC for example and it runs best with very hot loads. I was just talking to Ian Kelbly at the Harrisburg Gun Show and he was telling me about his own variant of the 6.5×55. He runs them at insane pressures that create great performance. And he wins too I might add. Modern rifles and modern brass can run hot and safely. If you do not know what to look for then stay with old technology and keep shooting those slower loads. Speed is not everything. Take the 26Nosler for example. Terrible design. Its fast, sure but is it accurate? Nope. Yes I stopped to give them a hard time about that at their booth toady. We both smiled about it. Thanks for the input, Grimstod. Makes sense to me.